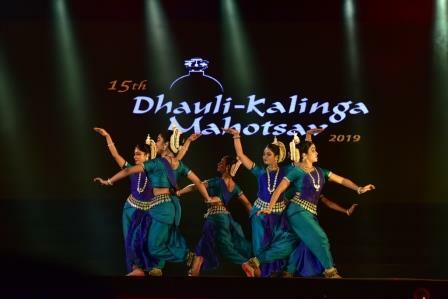 Bhubaneswar: The second evening of the 15th Dhauli-Kalinga Mahotsav showcased a beautiful blend of instrumental, classical and martial dances which regaled a large audience gathered at the foothill of Dhauli. 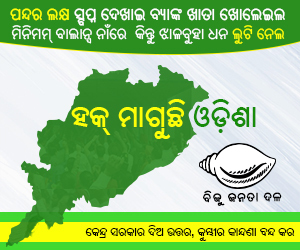 The first act was Mahodadhi, a musical narrative based on the sacred river that washes feet of Lord Jagannath. 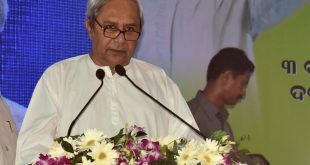 Performed by musical orchestra led by Guru Dhaneswar Swain and Guru Ramhari Das, it set the high pitched tone for the evening with its medley playing on musical instruments like violin, sitar, flute, Odissi mardala, tabla, dholak, octopad, khol (mridunga in Odia) and keyboard. The second Odissi performance choreographed By Odissi dancer Ratikanta Mohapatra left the audience spellbound.The quick eye movements, graceful hand movement and fierce leg movements orchestrated a beguiling performance. The next Ardhnariswar performance by Srjan displayed some intense facial expression. The evening concluded with Manipuri Thang-Ta. Thang-Ta is popular term for the ancient Manipuri Martial Art known as HUYEN LALLONG. The performers both male and female initiated the act with a ceremonial bow soon after which the women displayed impressive sword swinging skills. The agility and flexibility of the artists had everyone in awe.